Cook County Board President Toni Preckwinkle is asking the Cook County Board of Commissioners to vote “yes” this Thursday, Nov. 10 on a proposed penny-per-ounce tax of sugar for artificially sweetened drinks. This beverage tax increase would generate the hundreds of millions of dollars needed to fill a Cook County budget void that will eliminate hundreds of county jobs if it is not replenished within the next fiscal year. In a previous interview with the Chicago Tribune, Preckwinkle said without the new revenue, the county would have to cut more than 1,300 public safety jobs over the next three years, including 670 positions next year alone. If approved, the proposed beverage tax would kick in on July 1, 2017 and is slated to raise a total of $180 million in revenue through 2020. 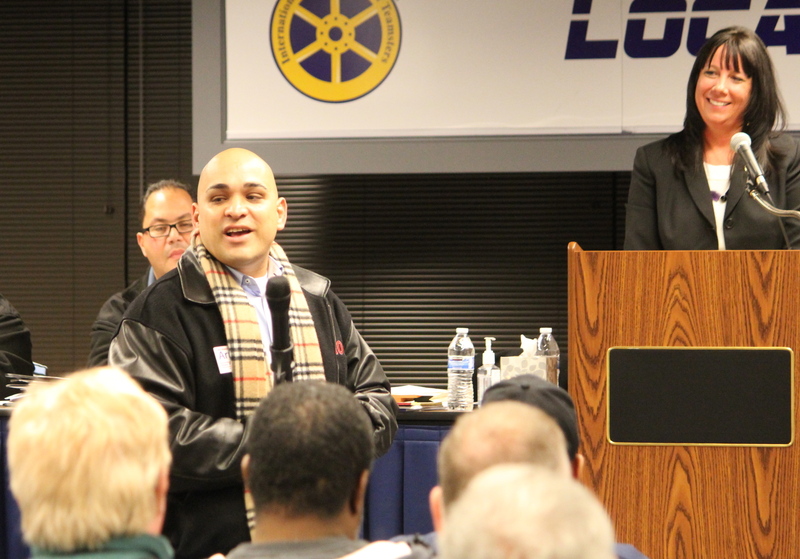 A Teamster for 20 years, Luis worked for the City of Chicago before he took on his new role as commissioner. Last year, the Cook County commissioners approved a document storage fee increase of $10 per transaction, which created enough revenue to support operational costs at the Clerk’s office and avoided layoffs of nearly 80 Local 700 members. Preckwinkle had proposed the increase and said it would generate an additional $4.9 million for the Clerk’s budget.